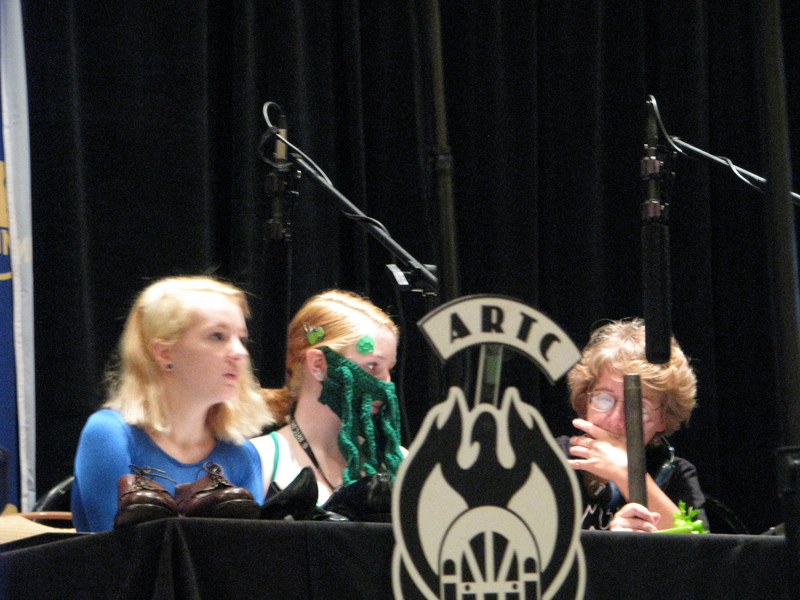 Atlanta Radio Theatre Company, or ARTC, has been one of the most popular audio drama groups ever, continuing from the Silver Age right into the world of podcasts. Their continued popularity comes not only from the sheer variety of talent involved over 30+ years (including young FX artists, writers and actors that are mentored in the group), but from figuring out a yearly production-and-performance schedule that allows them to create high-quality studio work – podcasts created by journeyman up-and-comers – and live, crowd-pleasing performances. What is also unusual is that ARTC, which was founded in 1984, really did start out as a sponsored radio program in its hometown. While they no longer have a regular airing spot, their Dragon*Con appearances on Labor Day weekend are packed with rapt audience members (some who have been attending year after year; others covering their eyes to help the magic along). Similarly, their Atlanta Christmas show has been popular for 18 years and running. So to understand and appreciate ARTC, it’s helpful to purchase one of their formal shows – their adaptations of H.P. Lovecraft are popular or, for World Audio Drama Day, you might consider their continuation of War of the Worlds – “The Untold Story”. AND you can also listen to their latest podcast, Mercury, a Broadcast of Hope, set at a radio station during a zombie apocalypse.